The weekend weather was impressive, but it doesn’t hold a lightning-lit candle to the talents of Baw Baw Citizen readers. 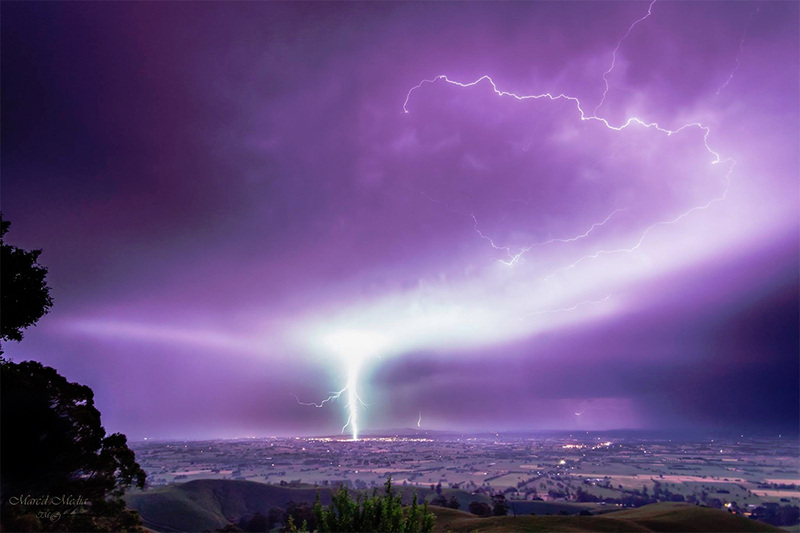 Facebook user Alf Stewart (no, not that one) sent us the photo above, taken from Mount Worth overlooking Warragul on Friday night. “I have been trying all weekend to recover this image as it was highly over/under exposed,” Alf said. “It was one of the most powerful strikes I have ever seen. I was lucky I was nowhere near it, although it covered about 30km distance and I still felt the power of it through the air. “This single shot with minimal editing… really doesn’t do this amazing display of power any justice, and yes it was this colour in real time. We were also tagged in an amazing time-lapse video of a storm rolling over Yarragon South by artist Andrea Sinclair. Hit play on the embedded player below to watch. Time-lapse involves taking multiple photos with a time gap between each shot and stitching them together as frames in a video. Did you get any storm photos or videos? Post them on our Facebook page or tweet them to us!